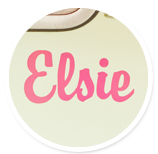 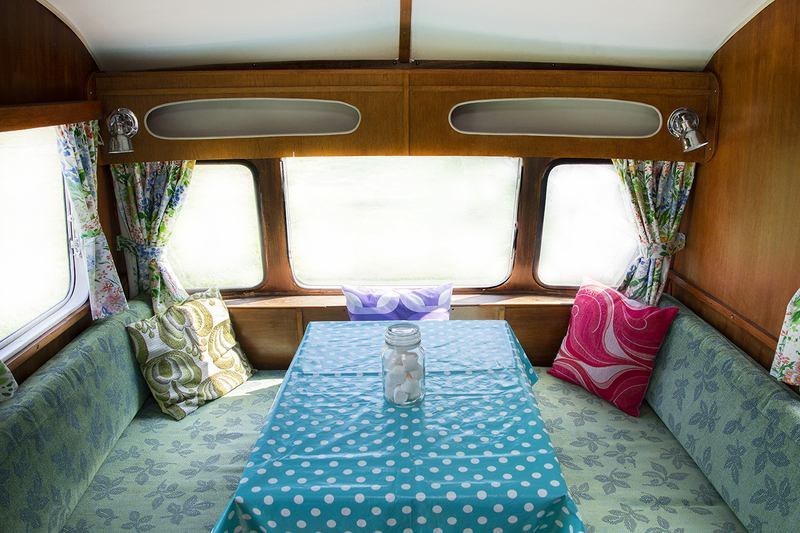 Elsie has a classic charm with her bay window, two doors and her beautiful pistachio and white exterior. 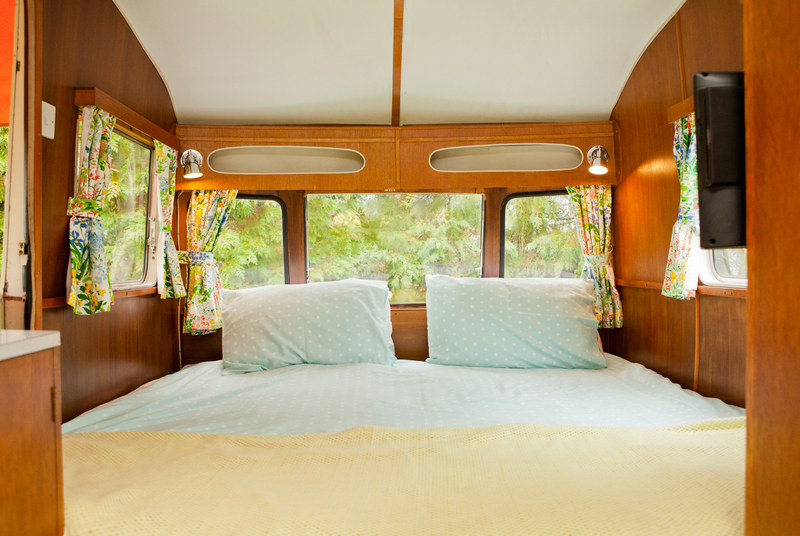 She has vintage floral curtains, a checkerboard floor and a double bed. 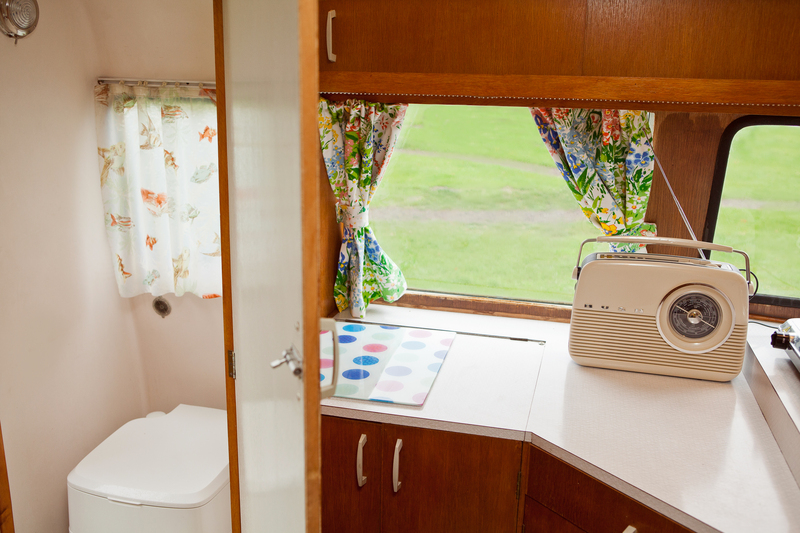 Elsie may be small but she is equipped with a camping loo, a two ring hob and a small fridge. 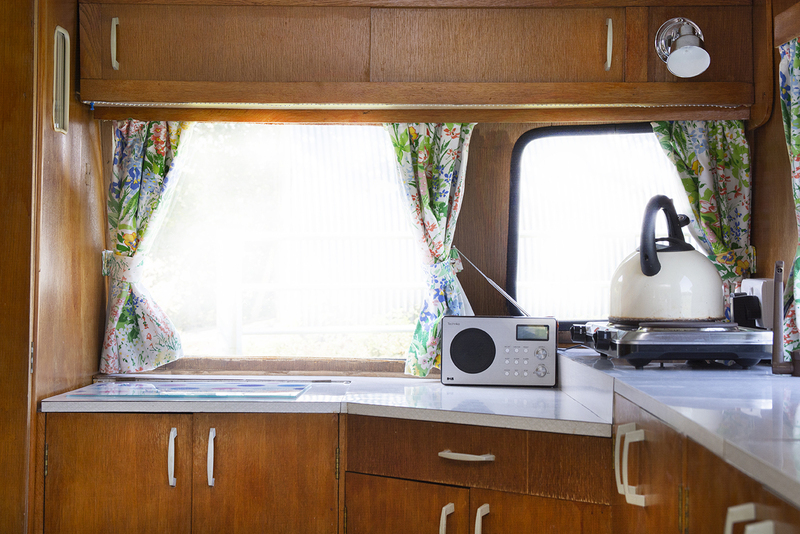 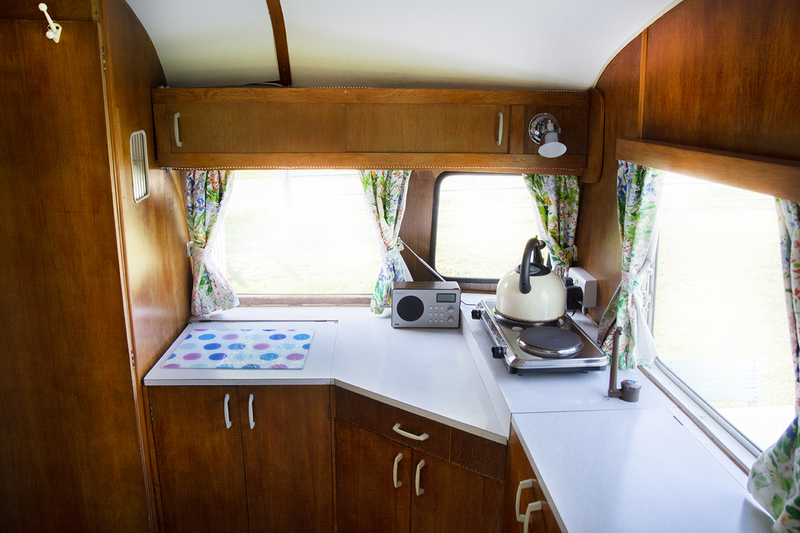 At just over thirteen feet long Elsie may be pint sized but this curvy classic is a cracking cosy caravan for couples.